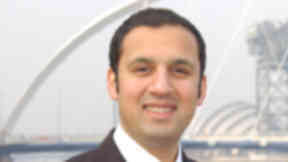 Scottish Labour is looking for a new deputy and leader after the resignations of Johann Lamont and Anas Sarwar. 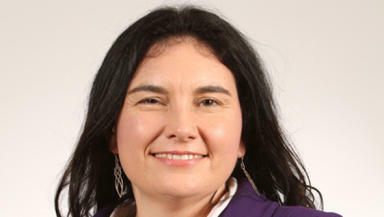 Katy Clark MP has entered the race for the Scottish Labour deputy leader job. The North Ayrshire and Arran MP announced her decision on Saturday, and will campaign to succeed Anas Sarwar, who stepped down at a Labour event in Glasgow on Thursday. 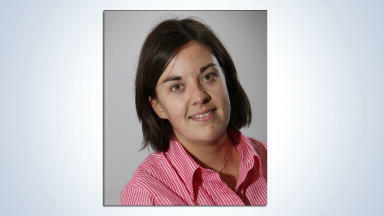 She said: "Today I have submitted a declaration to the Scottish Labour Party that I intend to stand for deputy leader and will be seeking nominations from colleagues over the weekend. "I wish to pay tribute to both Johann Lamont and Anas Sarwar for the leadership they have provided to Scottish Labour over the last 3 years. "This however is not about individuals. We must recognise that Scottish politics has changed and it can't be business as usual. "The vast majority of people want a secure job, a decent home and access to good quality public services. This is prevented for too many by wealth being held in the hands of a minority. "It is unacceptable in the 21st century that people have to queue at a foodbank to feed their children. These are the issues I will be addressing throughout the campaign." No other candidates have yet officially announced they are standing for the deputy role, but shadow education secretary and MSP for Lothian Kezia Dugdale is understood to be considering entering the race. Glasgow Central MP Mr Sarwar announced his decision at Labour's gala dinner at the Grand Central Hotel in Glasgow on Thursday evening. He told the Daily Record: “After thinking about it long and hard over the last few days I have decided that I believe Scottish Labour should be represented by a leadership team that is focused on the Scottish Parliament. “It has been a privilege to serve as deputy leader for the last three years and a honour I never thought I would receive. “But I think the leadership contest that is going on now is a time for everybody to reflect on what is best for Scottish Labour. “And after much soul searching I have come to the conclusion that I believe the Scottish Labour leadership team should be focused on Holyrood." Mr Sarwar will continue as Scottish Labour's deputy leader until December 13, when the new leader will be announced.